“I am truly grateful to have learned the practice of Personal Color Analysis under Terry’s careful eye. One imagines the need to frantically try to soak up all the information possible during a training session, because when it’s over, you’re on your own, right? Not so with Terry. Three days probably doesn’t seem like enough, and it definitely won’t feel like enough when you’re in the trenches with her. But Terry makes herself available to her students well after the training is over and you’re alone. She’s like a fairy godmother of sorts, and because of her compassion and LOVE for teaching, I don’t feel at all alone in my practice. I had dabbled in color analysis as a hobby for a few years before I decided that I wanted to do this for a living. Well-meaning friends discouraged me from seeking training, because they couldn’t understand why the tools and training were so “expensive”. They had the attitude that with my art/design background, color analysis should be “easy”. In art and photography, new students have to learn how to “see”. And you cannot learn to see unless you have someone to teach you how, to hand you the right tools and show you how to use them. Terry Wildfong is that person. I chose to work with Terry because not only does she use a hands-on method in her training, she works with you one-on-one. For quieter people and introverts like myself, having a teacher all to yourself is a godsend! Her support doesn’t end when you walk out the door, either. Before your training begins and after you go home, she follows up with you to make sure you are on track every step of the way. You will receive study materials in advance, to learn how to see color in a new light (literally!). Then when you arrive, you know the material so that you can apply what you’ve learned. With everything that you receive, from the study materials to the hands-on practice to the follow-up, her program is a bargain. 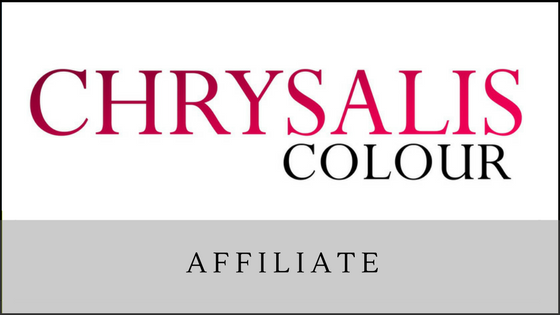 I highly recommend working with such a knowledgeable, passionate color expert. If nothing else, consider having your colors analyzed by her. She has years of experience and a friendly demeanor that will help you feel comfortable as you discover your best colors.